Art was born and raised in Sheet Harbour, Nova Scotia. He began his heating career on graduation from a three-year course in heating and ventilation technology at the Halifax Regional Vocational School in 1955. He was then employed for 20 years with wholesaler Wm. Stairs Son & Morrow Ltd., where he established and managed the industrial heating department, specializing in commercial heating equipment sales. For the next 18 years, he was employed with the Nova Scotia Department of Energy as a consultant and was involved in the development of many programs throughout the province. For another eight years, he was employed with heating equipment manufacturer and wholesaler, Kerr Controls Limited, acting as a consultant to their nine branches across Atlantic Canada. In 2002, he established his own business, Irwin Energy Consulting Services, for which he carried out energy assessments on new and existing structures including both building envelope and heating system. Art was also a tireless volunteer. 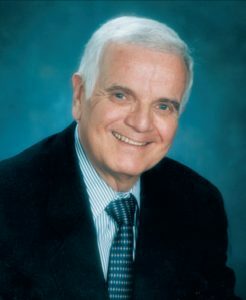 He served on many industry committees including the National Research Council, Energy Mines and Resources Canada, Canadian Standards Association for 27 years, Nova Scotia Homebuilders Technical Advisory Committee, The Combustion Research Laboratory, Brookhaven National Laboratory, Long Island, New York (Combustion Research for the U.S. Dept. of Energy). He developed and delivered many energy and commercial heating related courses in the U.S. and Canada, including for the Dalhousie University continuing education program. He was a guest speaker at many energy and HVAC conferences across Canada. He wrote for Plumbing and HVAC for over 20 years, writing right up until the end with his final article appearing in this issue. He joined the Halifax Chapter of The American Society of Heating, Refrigerating and Air Conditioning Engineers Inc. (ASHRAE) in 1965, was awarded life membership in 1998 and was president of the Halifax Chapter in 2004-2005. For twenty-nine years, he was a monthly guest on the CBC Radio Maritime Noon phone in show, answering HVAC-related questions for callers across Atlantic Canada. A professional musician, he performed on radio, TV and in many dance bands as a percussionist. He had his own musical groups (Ensemble Plus, the Artie Irwin Trio), and played with many other wellknown jazz musicians. He was very proud of being vice president of development for JazzEast Rising which has been organizing the Halifax Jazz Festival for thirty-one years. As a professional photographer, he enjoyed success in owning Irwin Photographic & Communications for 47 years. He was a graduate of the Kings College (Halifax) public relations program and used his writing talents in many ways. He and Eileen travelled the world on 15 jazz cruises, on which he created a wide collection of photographs of world class musicians and even sat in on the occasional session with them. Art was public relations chairman of the Canadian Ski Association in the 70s and is a Life Member of the Canadian Ski Hall of Fame and Museum. He was a life member of the Royal Nova Scotia Yacht Squadron, and a life member of Heritage Trust of Nova Scotia. Art is survived by his loving wife of 57 years Eileen (Dauphinee) Irwin, daughter Anne Irwin of Halifax, sister Sheila (John) Rowand, Victoria, B.C, brother, Robert (Marion), Calgary, and many cousins, nieces and nephews. A service was held Jan. 13 at the J.A. Snow Funeral Home in Halifax with a reception at the Royal Nova Scotia Yacht Squadron.